A celebrated British noir charting post-war European malaise, Carol Reed’s The Third Man is widely regarded as the finest British film ever made. The film centres on Holly Martins (Joseph Cotton) a writer of pulp westerns who arrives in Vienna to meet his old friend Harry Lime (Orson Welles) only to discover that Lime has been killed in an accident. Martins investigates the death and is assisted (and hampered) by Major Calloway (Trevor Howard), the head of British forces, and Anna (Alida Valli), Lime’s mistress. The screenplay was written by Graham Greene who regarded the film as a ‘comedy-thriller’, though the themes of suspicion and betrayal, which chimed in well with McCarthyism, offer few laughs. Instead we are left with a classic that captured the pessimism of a post Auschwitz and post Hiroshima world. In 1948 the Cold War was fought with goods and not guns a fact highlighted by Lime’s penicillin scam, a scam that places Lime on the Devil’s shoulder. The Third Man was shot on location in Vienna, and you could argue that the bomb damaged city is the film’s greatest character. Director Carol Reed filmed many shots at a slight angle making great use of the night-time shadows cast by the big spot lamps. The angle of filming and the use of shadows are the stylistic fingerprint of The Third Man. Another distinctive feature of the film is Anton Karas’ zither soundtrack, a truly original score that dominated the music charts when the film was released in 1949. 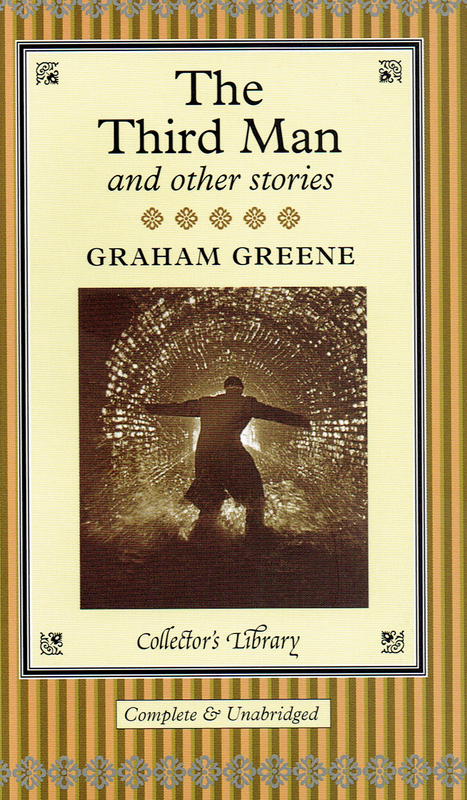 As well as the screenplay, Graham Greene also wrote a novella. The novella is true to the film, except in the ending where Graham Greene opts for a ‘traditional’ scene with Holly and Anna walking off arm in arm. However, Carol Reed thought that ending unrealistic and instead he provided cinema-goers with the classic scene of Anna walking past Holly. The first choice to play Holly Martins was Carey Grant, while Noel Coward and Robert Mitchum were considered for the role of Harry Lime. It has also been suggested that Lime’s character was based on Kim Philby, the infamous British double agent and one-time colleague of Graham Greene in the British Secret Intelligence Service. There are two versions of The Third Man, a British version and an American version. The British version runs for eleven minutes longer than the American version, which was re-edited by producer David O. Selznick. Sometimes in collaborative artistic work all the elements come together to produce a classic, and that is true of The Third Man. The blend of acting, writing and directing has rarely been matched and certainly not surpassed. The best British film of all time? If you know of a better one, please tell me!